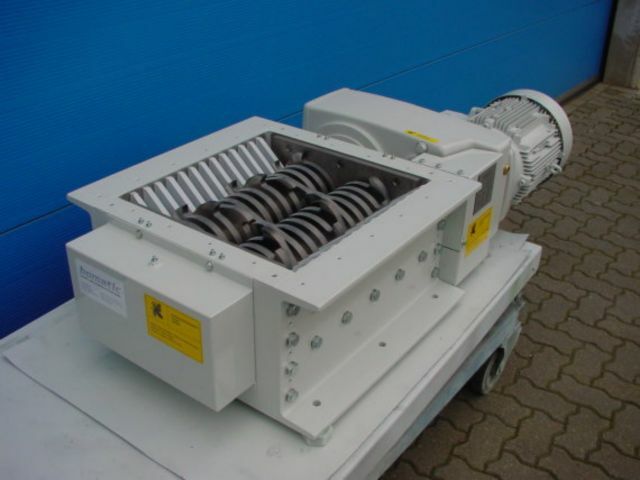 The Bomatic B250 – B400 models of twin shaft shredders have been designed to be economic and reliable shredding solutions for light applications, including commercial kitchen food wastes and machine tool steel turning. Robust high performers, with numerous innovate design features specifically for the market sector, the smooth and slow running cutting unit ensures low dust, vibration and noise generation. With system overload protection linked to motor speed and temperature controllers to avoid potentially expensive motor and transmission damage through introduction of incompatible materials. Heavy-duty, robust construction guarantees high operating integrity. 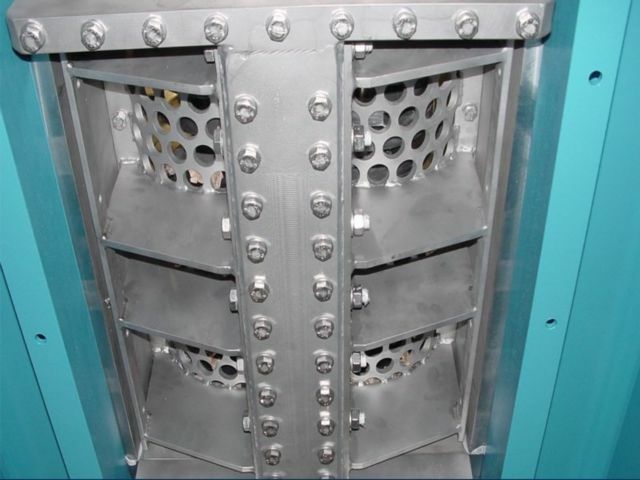 Machine overload protection, linked to motor speed and temperature, minimizing machine failure. Fully welded construction ensures reduced wear and tear. 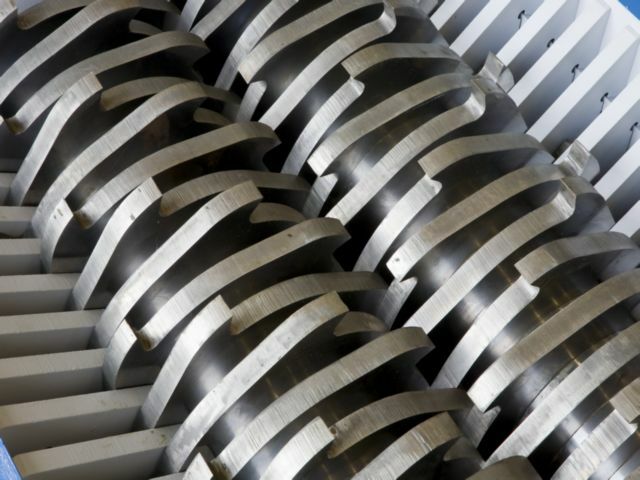 Smooth, slow running rotary cutting action ensures low dust, vibration and noise. The shafts rotate in reverse, stop and then run in normal cutting rotation. Steel cutlery, processed through a small B250 twin shaft shredder. 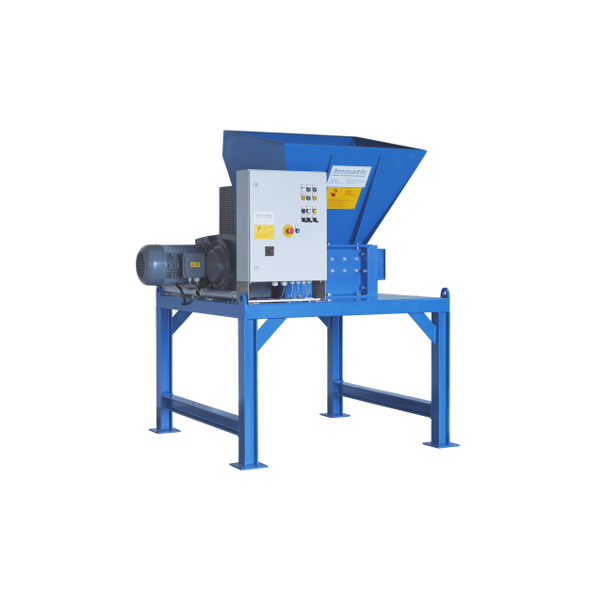 B400v twin shaft shredder processing leather briquettes. Spent printer ink cartridges shredded in a small B300 twin shaft shredder. Get in touch with us, whatever your query. Just use the simple form below and we’ll come back to you as soon as we can!